The Trinity ONE is a coffee maker which has rewritten the rules on what a handbrew coffee maker can be. The approach is unique, the quality is superb, the design is precise. The device has been created in high quality kitchen grade stainless steel and black walnut. The Brew Chamber of the Trinity ONE is double-walled for thermal insulation, and BPA free. It is designed for Pour Over, Press, and Cold Brew methods. The Press Cylinder is used for brewing automatically under mild air pressure. Insert the cylinder. Trinity ONE will take care of the rest. The Filter Head is also the Trinity ONE flow controller. 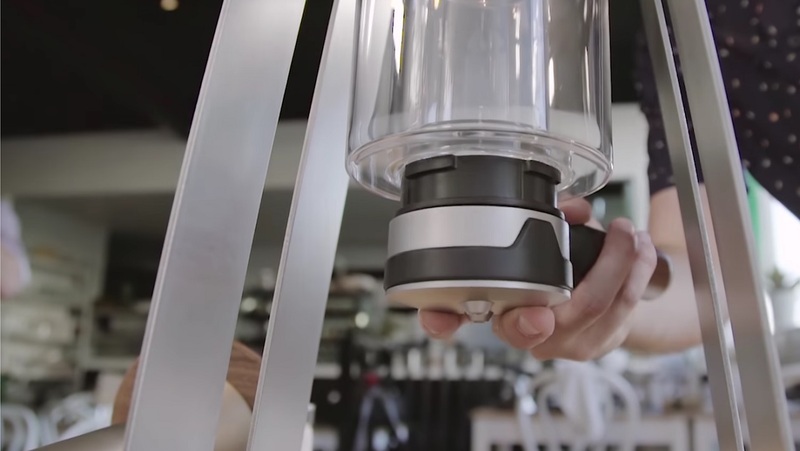 Use it to steep coffee, stop drips, pour into multiple cups, and cold brew. We've been delighted to be able to follow the journey of creation of the very fine Trinity ONE coffee maker. We first came across the Trinity ONE in Spring 2015 on Instagram from a teaser set of images that preceeded the launch of a Kickstarter campaign, and were some of the first to commit to supporting the Kickstarter funding of this project. It has been created by a talented designer and engineer in Brisbane, Australia - Mark Folker - and he has personally overseen the progression from idea to production reality. We have eagerly watched progess updates and very clearly had the impression that Mark's attention to detail and commitment to quality and the original vision of the Trinity ONE was going to produce a fabulous product. Although the wait to see the final version has been a long wait, we have been stunned when we unwrapped our first delivery - the speciality nature and quality of the Trinity ONE spoke volumes. 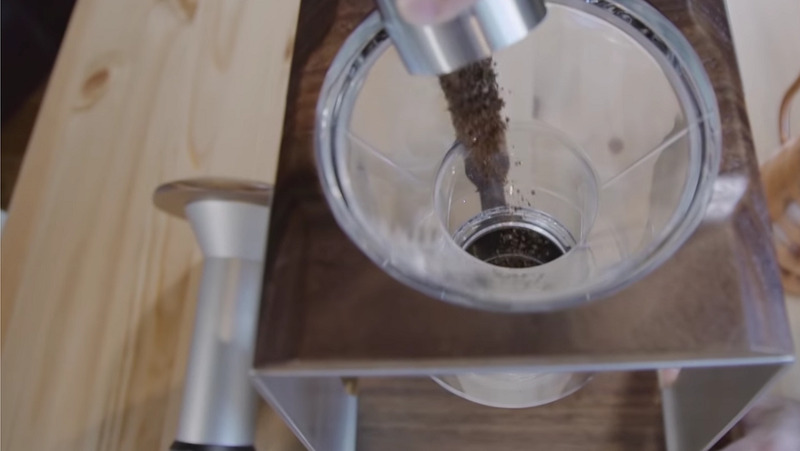 The American black walnut is beautiful, the stainless steel elegant, the press is weighty and clearly a very substantial part of the overall solution to coffee making that Mark Folker has pursued. It is genuinely original! Yet the Trinity ONE works with what we know about coffee making to produce an excellent device. It is a large item and that can be a bit of a surprise when you first see it - but this can take centre stage and do its 3 different jobs: drip, press, or immersion. We're very impressed with Trinity ONE - it will be an elegant addition to any serious coffee shop or be a stunning home coffee making station.